It happened almost overnight. New Orleans went from being one of the most smoke-friendly cities in America to just another place where smokers of all kind are forced out of local establishments and onto the sidewalk. The reason for this was the now infamous citywide smoking ban that went into effect on April 22. Smoking is now prohibited in all enclosed public places and places of employment. This extends to bars, casinos, hotel rooms, private clubs and even some unenclosed areas such as sports arenas, stadiums and select recreational areas. 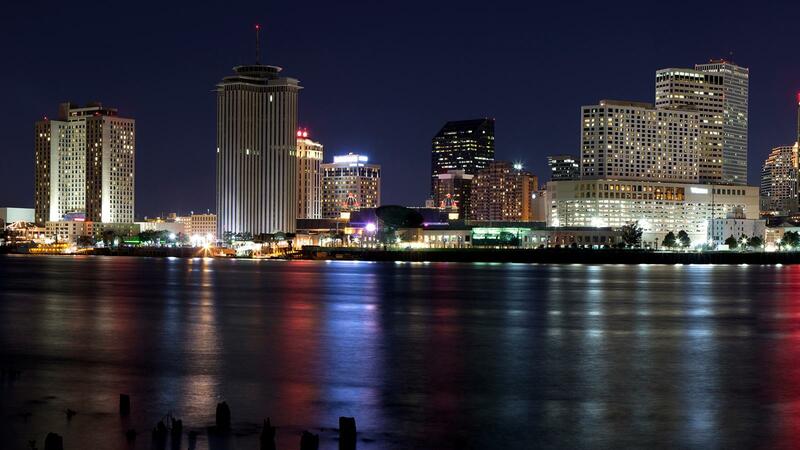 However, for cigar smokers, a few rays of sunlight still shine down on the Big Easy. Cigar bars that opened prior to the ban have been grandfathered to permit indoor smoking lounges. Some restaurants and bars have made accommodations to provide comfortable outdoor smoking areas for their cigar-smoking patrons. And for those attending the IPCPR trade show, three local hotels have created smoking lounges for guests of the trade show. Here is Cigar Aficionado's comprehensive guide to smoking in post-ban New Orleans. Commander's Palace, the Victorian mansion located in the heart of the New Orleans Garden District, has been a Cigar Aficionado favorite for years. Established in 1880, the historic restaurant features a mix of modern American and classic Haute Creole cuisine. Commander's Palace also features an impressive wine list and is a three-time recipient of the Grand Award from our sister publication, Wine Spectator. Sadly, the great cigar lovers' indulgence of a post-meal smoke is no longer permitted on their outdoor patio while it is being used for dining. However, the patio will not be serving food during IPCPR, which will allow diners to step outside after their meals and enjoy a cigar if they so please. Like Commander's Palace, the days when you could light up a cigar while dining on the patio at Broussard's are now long gone. However, the Empire Bar at Broussard's features an outdoor annex away from the dining area in the central courtyard, where patrons are permitted to relax and have a smoke with their cocktail. The outdoor area is equipped with high-end patio furniture in a relaxing garden-style setting. The bar menu features an array of affordable wines and absinthes from $4 and $5, respectively. But don't let the cheap drinks fool you. Zagat's champions Broussard's Restaurant as the "epitome of quiet elegance" and Wine Spectator gave it the Award of Excellence in 2014. Tujague's Restaurant takes pride in being the second oldest restaurant in the city—and with its traditional creole cuisine and rustic, saloon-style atmosphere that is quintessentially New Orleans, it deserves that recognition. Specialties include shrimp remoulade and beef brisket with horseradish, and Tujague's is renowned for the way it serves its dark coffee in shot glasses. Tujague's also features a smoke-friendly, Mardi Gras-style balcony. And what's more quintessentially New Orleans than stepping out onto a balcony, lighting up a cigar and taking in the view of the French Quarter? Pat O'Brien's is definitely on the touristy side, but when you're in one of the most legendary party cities in America, why wouldn't you want to be where the action is? New Orleans is known for serving up specialty cocktails that are oversized, overly sweet (and often overly saturated with alcohol). Pat O'Brien's has them all—Cyclones, Category 5 Margaritas, Rainstorms and their signature drink, Pat O's Hurricane. Enjoy them with cigars on the large patio area that features a one-of-a-kind flaming fountain. Located in the up-and-coming Warehouse District, Fulton Alley is more of a bowling lounge than it is your typical bowling alley. The menu is classic Southern-style fried chicken, pork belly sliders and meat pies. The bar features a mixture of traditional and craft cocktails. Fulton has swapped the old-school benches for black leather couches in the bowling area, so you can sip your drink comfortably while waiting to roll your next strike. And most importantly, Fulton Alley features a large cigar-friendly patio equipped with televisions, ample patio furniture and food and drink service, so you can head outside and relax with a cigar before your next frame. The smoking ban now prevents new cigar bars from opening in New Orleans, making cigar entrepreneurship nearly impossible. But Après Lounge, a self-proclaimed ultra Champagne lounge, is countering the new legislation by opening an all-outdoor cigar bar. The Aprés Lounge cigar bar plans to feature expansive outdoor patio seating, food and drink service, and a wide selection of top-brand cigars. The cigar bar is slated to open on the first of July, so stop by while at IPCPR and support the new wave of NOLA cigar establishments. La Habana Hemingway Cigar Bar is perhaps the largest cigar location in the city. So if you're traveling to IPCPR in a large group, this is the place to go. The lounge accommodates up to 120 guests and the expansive bar offers a wide variety of aged Scotch and bottle service for parties that book a table. Labeled as the largest retail tobacconist in New Orleans, the Mayan Import Company carries close to 30 cigar brands in its large walk-in humidor. Located in the Garden District's historic Orphanage Building, the shop is equipped with an indoor smoking lounge and a quaint patio where you can enjoy a cigar in the shade beneath 100-year-old oak trees—a great daytime getaway from the Louisiana heat. The Tobacco Exchange is the Mayan Import Company's French Quarter location. Like its sister shop, the Tobacco Exchange boasts about its large variety of nearly 700 open cigar boxes to choose from. There is a small, indoor leather and cedar lounge, with outdoor café-style seating on the patio. The lounge is small—one couch and a few chairs around a large television—and there is no walk-in humidor. But the quaint setup and exposed brick gives Smoke On The Water a real clubhouse feel, so if you're strolling through the Quarter solo, stop in and have a cigar. Humidors line the entire right side of the store, so don't worry about the absence of a walk-in humidor; you should still be able to find the smoke you're looking for. Don Leoncio is a spacious and elegant cigar bar located in the French Quarter. The main smoking area is equipped with couches, large leather chairs set around card tables and a full bar. A great place to catch a ballgame or chat with friends over a cigar. If you've never been to New Orleans, you probably have an image in your head of an old underground jazz club where booze flows freely into the wee hours of the night and smoke is illuminated by dim stage lights hovering over a jazz quartet. If that's the case, then Dos Jefes Uptown Cigar Bar is a must-visit on your trip to the Big Easy. It's a no-frills jazz bar where cigars are not only welcome but encouraged. This may be the last place in the city where you can enjoy live music in a club setting without having to hit the sidewalk for a smoke. If you're looking for the true New Orleans jazz experience, Dos Jefes is the place. The Hilton New Orleans Riverside plans to accommodate IPCPR guests by permitting smoking in the Mark Twain courtyard on the second-floor balcony of the hotel. Seating will be limited to the park benches in the courtyard, and the hotel will not be providing any further amenities. However, the courtyard does have an excellent view of the Mississippi River, so if you're staying at the hotel and want to have a cigar before you head out for the day, the courtyard will suit you just fine. This area will only be available for guests of the hotel and will not allow smoking after IPCPR. All IPCPR members are invited to enjoy the Sheraton's second-floor balcony overlooking Canal Street. The hotel will set up cocktail tables as well as a full bar. Balcony access will not be limited to hotel guests; all IPCPR members can attend. Smoking will not be permitted in this area after IPCPR. The Marriott will be providing a smoking area in a gazebo on the fifth floor pool deck, but seating will be limited. All IPCPR members are permitted to enter the pool area. Smoking will not be permitted in this area after IPCPR.